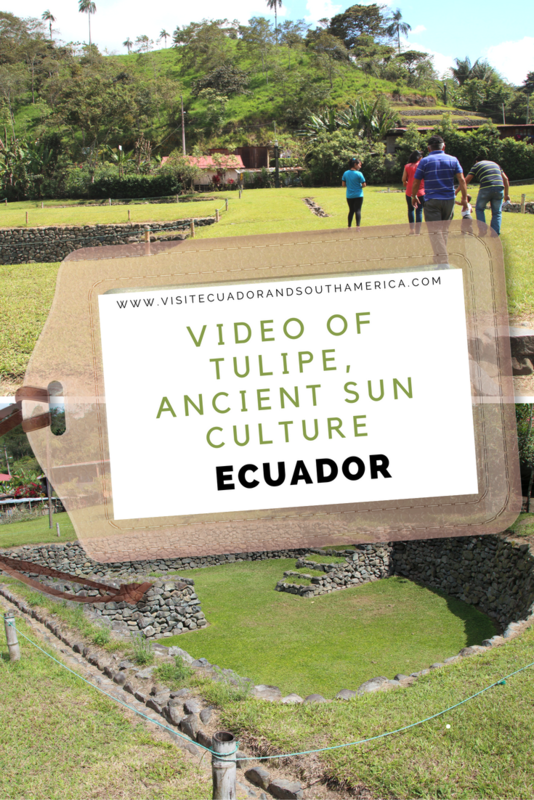 Located at Latitud 0 in a lush subtropical forest near the city of Quito in Ecuador, you can visit the unique ancestral culture of Tulipe. The origin of this civilization dates according to most researchers to the years 800 to 1660, when Yumbos lived in this area. They were traders or merchants. Therefore the location of Tulipe is something crucial. It gave them control over the trade route between the Pacific Coast. For many centuries the sun has played an important role for cultures located near the equator. An additional factor that determines the location of the culture as well as the findings in the archeological site. If you are visiting Quito, this would be your best point of departure. Here you can find some great options of places to stay in Quito. Lately I have grown fonder of AirBnB. I have written a full review, so find out What I love about AirBnB as a guest and as a host plus some good tips. You can register in my link to get extra credit and find some great accommodation! After this you can find a bus that could stop near Tulipe, but it is better to get there by car. Or if you want more in-depth information and also a guide that you can bring along during your trip, I recommend the travel guide Lonely Planet Ecuador & the Galapagos Islands .